januari 2018 | 256 blz. 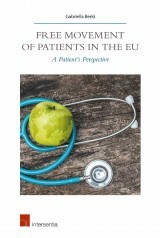 This book investigates the complex issues European patients face when obtaining healthcare abroad. It offers a clarification of both the legal and non-legal obstacles of cross-border patient mobility while focusing primarily on the needs and interests of the patients.